Shapes such as peaks and domes are known as powerful attractors of energy. This is why religious church buildings, such as temples and mosques, are crowned with a pointed or domed roof. The collective consciousness of the people in the building becomes a source of energy that is send straight to the cosmos and returns as an echo and reintroduces the building through the peak. But also the witch hat is a magical example of the use of the dot shape. The magic wand is also called the reception stone. Hold him above your head with the peak up, and become receptive to receiving and understanding messages from the universe, from angels or guides. Would you like to realize something in your life? Then visualize it in detail and speak yourself out in the present tense as you point the peak over your head towards heaven. The other way around, the point has to be directed to the ground for discharging energy. Selenite is the white stone of the moon goddess. She convinces that everyone is worthy to receive. She is known as a guide during meditations and telepathy. Selenite is particularly popular among energetic workers. 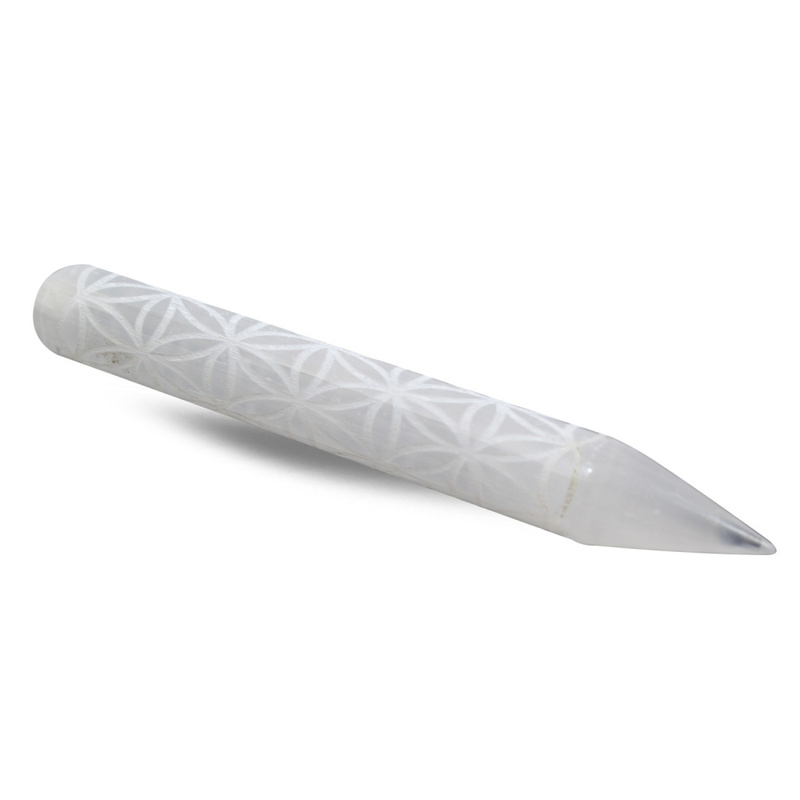 Selenite wands are a classic tool that can be used to clear the aura of negativity and bring in a divine influence. (Some use them to assist in detaching entities). They can be waved around the whole body without touching it.